﻿ Wine-making. Guest House Na Lednicke. Accommodation in apartments. Hlohovec, Moravia, Czech Republic. 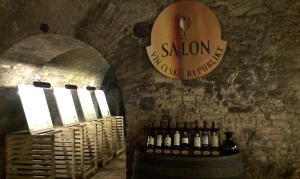 Our wine cellar offers an excellent choice of the best local Moravian and high-quality French wines. In close proximity of our guest house there are dozens of wine-making estates where you can taste and buy locally-made wines. They are easily accessible by car, bike or even on foot. Please see our list of the top-ranking local producers. Sedlec - www.sedleckavina.cz is a stone’s throw from Hlohovec. The picturesque path will take you through a stretch of vineyards. After walking through Hlohovec, at Hranichy Castle, take a narrow paved road on your left. Turold - www.turold-mikulov.cz is a small wine producer in the town of Mikulov. It is noted for good value for money and offers a choice of table wines. It also sells home-made draft wine. It is advisable to make an appointment in advance. Kováč - www.vinarstvi-kovacs.cz is based in a small village of Novosedly outside Mikulov. 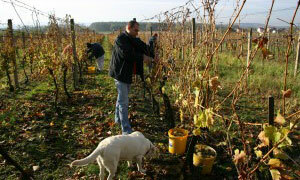 It features a cozy atmospheric cellar and an open air terrace with a vineyard view. 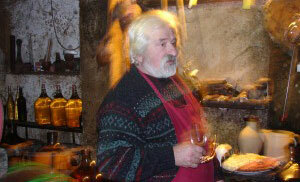 Kováč offers delicious rose wine. Draft wine is sold at about 50 CK per liter. Open daily. Víno Marcinčák - marcincak.cz is situated in the same village of Novosedly and offers a choice of premium class and traditional wines along with local specialties such as ice and straw wines. Tanzberg - www.tanzberg.cz is a reputable producer situated in the village of Bavory u Mikulova. It can be visited as a part of the Palava cycling route and offers expensive wine sorts, sparkling wines and gift sets. Mind that it is closed on Sunday. Nové Vinařství - www.novevinarstvi.cz in the village of Drhnolec offers modern wines with a difference. Call in advance to make a reservation for a wine-tasting inside the state-of-the-art production facilities. The tasting is free of charge, but you are expected to purchase a couple of bottles. Excellent “Cuvee Fantomme” is famous as ladies’ favourite. Gotberg - www.gotberg.cz has modern production facilities situated on a high hill with a view of Palava. It is not as famous as its neighbor of the same name. However, it definitely offers perfect value for money. The trip will be particularly enjoyable if a visit to the wine-maker is followed by a delicious dinner at “U Kapličky” restaurant.